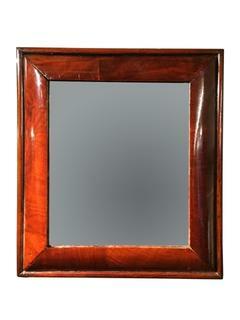 An English Mahogany Globe Wernicke bookcase. 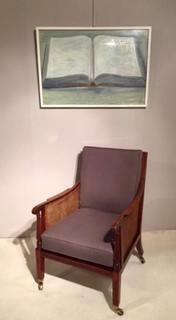 An English 19th Century English Mahogany Bergère Library Chair with caned seat, back and arms. The Cushions in Seat and Back are reupholstered and are very comfortable. 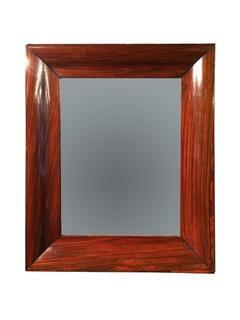 An English Early 19th Century Rosewood Mirror. 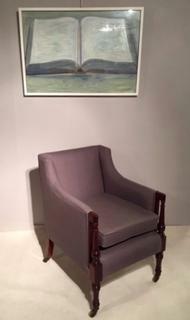 An English Georgian Reupholstered library Chair, having a very comfortable cushion seat. An English 18th Century Miniature Cabinet in Walnut & Burr Walnut. 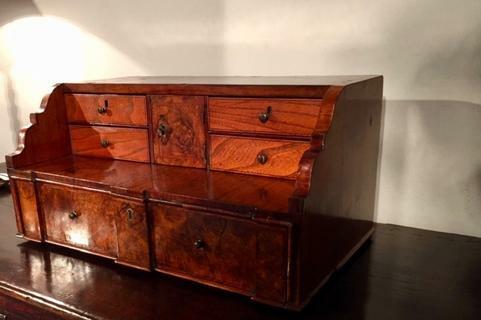 A 19th Century Mahogany Partners Desk with Drawers on Both Sides and having a Stunning leather. 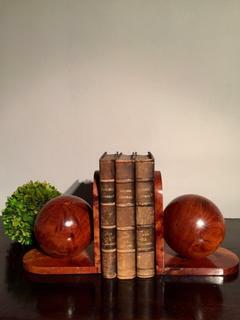 A Set of Four Oak Globe Wernicke Bookcases. 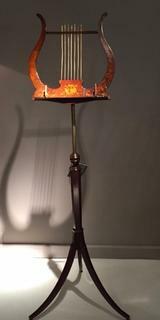 An English Mid 19th Century Mahogany Double Music Stand adjustable in hight. An 18th Century English Figured Walnut and Burr Walnut Bureau. A 17 th Century Cast Bronze Guan Yin Goddess Sculpture with traces of residual lacquer and gilding. Thebethian. 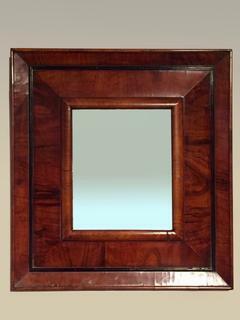 A 17 th Century William and Mary Small Figured Walnut Mirror. 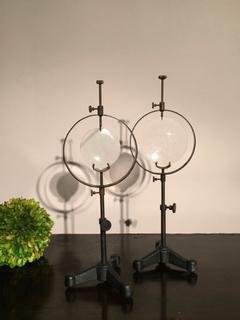 A very elegant English Painted Early 20th Century Lamp Stand. A very comfortable Enlish Edwardian Mahogany Chair having a fine inlay and three carved lyre motifs. 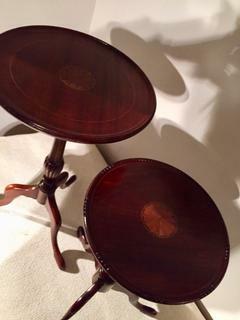 A very nice English Edwardiian Mahogany Stool Beautiful inlay. 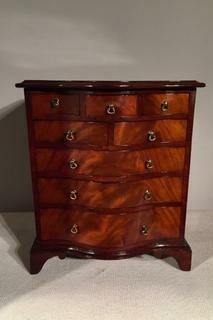 An English Mid 19th Century Burr Walnut Davenport having a very nice marquetery. 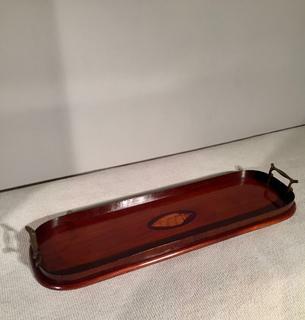 A Very Nice English Mahogany Reading Stand. William IV. Adjustable as a Desk and a Standing Desk. 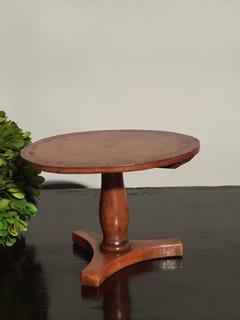 Very nice English Mahogany Lamp Stand. 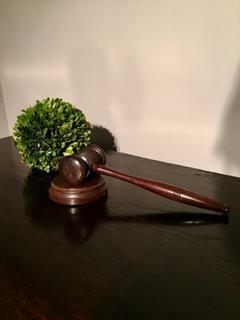 A small English 19th Century Candlestick. 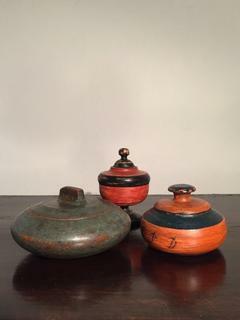 A nice selection of Treen - Tobacco Jars. 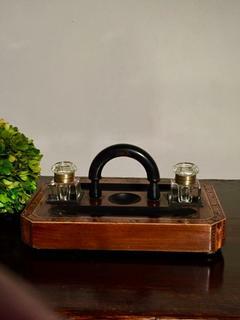 A small English Regency Apprentice Piece of a Breakfast Table. Painted and Inlaid. Antique English Mahogany and Inlaid Letter Rack. An Antique English Bookstand. 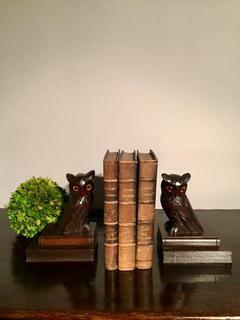 Two Hand Carved Owls on Books. 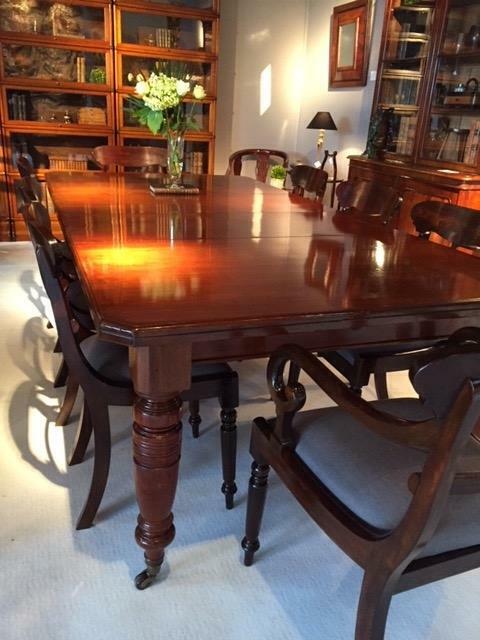 Two Very Nice Antique English Mahogany Wine Tasting Table with Inlay. 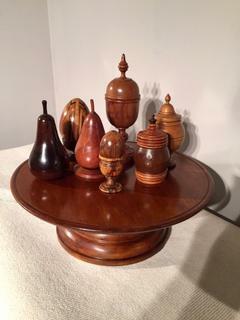 Nice Collection of English 19th Century Treen. An English Oak Tripot Table ca. 1730 having a Candlestick Baluster. 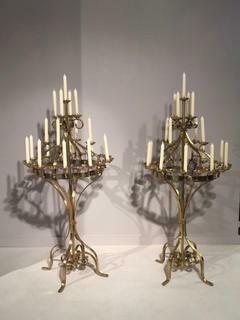 A Pair of Floor Standing Victorian Brass Candelabras. Ca. 1860 Sheffield. 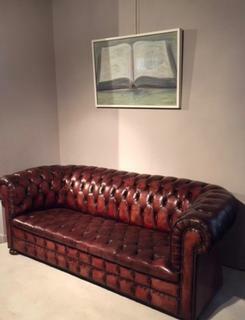 An Enlglish early 20 th Century Chesterfield Sofa. 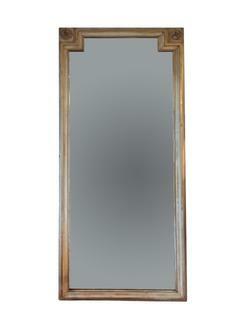 A Very nice 17th Century William and Mary Figured Walnut Cushion Mirror. 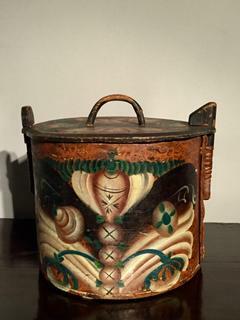 An Oval Hand painted Swedish Box having beautiful Patina ca 1843. A Very Rare English Tudor 16th Century ca. 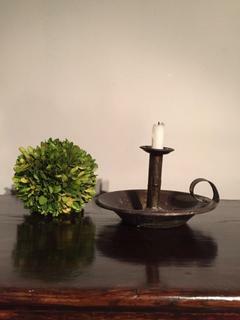 1530 Small Candlestick. A 19th Century Olivewood Sorrento Ware Book Slide. Grand Tour Piece. 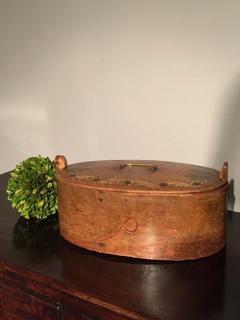 Special 19th Century Swedish Oval Box having a Floral Decoration. 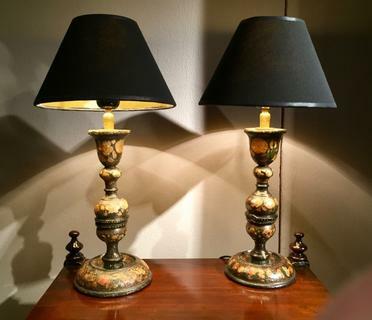 An Rare Pair of Kashmiri Hand Painted Lamp Stands. 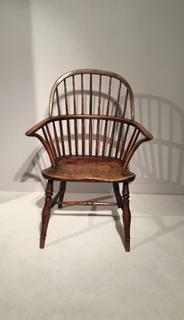 An 18th Century Windsor Armchair with Residual Green Paint.